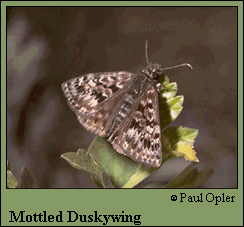 Identification: Upperside bands contribute to the mottled appearance of both wings. 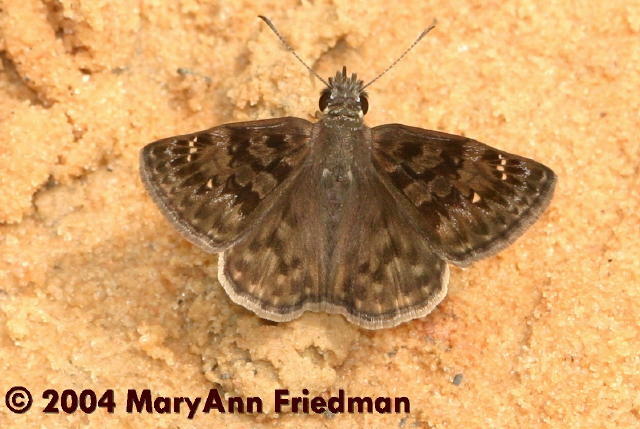 Freshly-emerged butterflies have a purplish iridescence. Male has a costal fold containing yellow scent scales; female has a patch of scent scales on the 7th abdominal segment.